Thank you to Manessah, Mrs. Anonymous, Lavanya, and Thekabys. All four of these creators have blogs that I genuinely enjoy and I simply cannot put into words how shocked/grateful I am that you guys thought to nominate me. Please check them out! For those of you who don’t know (because I didn’t) the Mystery Blogger Award is awarded to amazing bloggers with ingenious posts. “Their blog not only captivates; it inspires and motivates. They are one of the best out there, and they deserve every recognition they get. This award is also for blogger who find fun and inspiration in blogging and they do it with so much love and passion” – Okoto Enigma (creator). Give three facts about yourself and link your best post. Nominate other bloggers and ask your nominees 5 questions of your choice. I’M NOTHING WITHOUT….. my glasses. I’ve had to wear glasses since I was in first grade because my eyesight is horrific. I cannot read anything from the vision chart– even the massive E– without a little bit of help from my glasses. MY FAVORITE MAKEUP PRODUCT IS… mascara. I’m a natural blonde so I have been cursed with the fact that both my eyebrows and my eyelashes are ice blonde. If mascara wasn’t a thing then I would constantly look like a rabbit. I’M A FIRM BELIEVER THAT…. the world is actually a great place. I know that there are a lot of bad things going on and poverty and war leaves a nasty mark on humanity. But there are also so many beautiful things that we overlook, like the amount of nonprofit charities that exist and how beautiful sunsets are everyday. The Journey to Confidence. This one has the most comments and is also one of my favorites! If you haven’t checked it out, you should! It was really helpful to write. Seeing as I was nominated by four people, I’ve decided to take my favorite question from each blogger and then randomly choose the fifth one out of the remaining sixteen. What’s the best thing about yourself? At first I wasn’t going to answer this. I don’t like to give myself credit for anything because I have this weird complex that I’m not allowed to like myself. But then I was like, no. I want to be confident. I want to start smiling when I look in the mirror. And this could be a baby step in the right direction. I think the best thing about myself is my mind. And looks-wise, my eyes. A movie or song that resonates with you?? Its Kind of a Funny Story is an amazing book and movie that makes me feel things that I struggle to explain. Also, the song “Girl Almighty” empowers me so much that it’s not even funny. How different was your life one year ago? So insanely different that it is not even funny. I was in a very dark place. Probably one of the darkest places I’ve ever been in. I just lost someone very meaningful in my life to cancer. On top of that, I was petrified of going to college so far away from home and I wanted to give up before everything even started. All of the changes set out before me was daunting, and I was so sure I was going to be a college dropout before I was technically even a college student. But I went to college anyways and I forced myself to branch out and welcome the changes before me. And now I’m here, in love with my college, happier than I’ve been in a while, and so happy that I didn’t give up. Who/what inspired you to start blogging? When I was little I was in love with writing. I filled countless journals with written nonsense about everything from cute boys to my fear of death (I was a very intense child). That love for writing about myself shifted into a love about writing for everything. Writing has always been my strong suit in school, and I think its because I genuinely love it. As I’ve gotten older, that love has never stopped. So I decided to find an outlet to continue to write about everything that I feel the urge to, so that’s why this blog was created. If you could travel back in time and give your younger self some advice, what would it be? Tell people you love them. Don’t think that everyone will think you’re weird for giving them affection. If they’re important to you– tell them. Because one day you won’t be able to and you will regret that you didn’t so, so much. I’ve decided that this time around, if anybody really likes one of my questions, then they are more than welcome to answer it in the comments! I think it’ll be a great way to start some conversations and maybe even build some new friendships! What was a defining moment in your life that made you who you are? What has been your favorite thing about blogging? What has been your least favorite thing about blogging? Is there one thing you can do to instantly lift your mood? If you could have a conversation with anybody (dead or alive) who would it be? 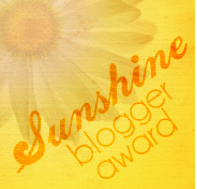 For this award, I’m going to nominate a few of my favorite bloggers that I’ve recently found: Kourtney, TheLexiEdit, Beauty and the Being, Colour Me Yellow, & Glow Steady! If you have read this entire post, then you deserve a cookie! I hope this was an enjoyable read for you! Thanks again to everyone who nominated me. Be sure to leave a comment answering one of my questions. Also, leave a like and don’t be shy– follow me! And, as always, stay rad. By the way, my eye sight is also weak as yours. My face is like : 🤓. ‘lot of bad things going on and poverty and war leaves a nasty mark on humanity.’ I read poverty as poetry so I suppose I, too, am nothing without my glasses. 'Some people actually kind of sort of enjoy my blog' Why is that literally ME? hahah Congratss girl, you definitely have amazing, interactive posts on your blog and just such an adorable banner for your posts, still can't get over that haha! Never look down upon yourself. Your thoughts are really beautiful and that’s what matters. Congratulations Kelsey on your many awards. Congrats! I love that it’s awarded to people who genuinely are loving what they’re doing – it shows in your work! I’ve always felt like success is different for everyone. For me, it’s having long mornings at home with my boyfriend before work, and lovely evenings spent with friends (or having the means to make this happen). For others, it could be any number of things! Congrats on posting so consistently – that seems like a huge success to me!! Thank you so much for your kind words! I totally agree that every person’s idea of success is objective, and I think that that is what makes life so amazing. Because we all strive for different things to make us happy! Thank you so much, you’re too kind! Loved this post so much! Great way to know you. I also love writing so much. I love your blog. I’m glad you didn’t give up ❤️ I’m proud of your progress. I also love the movie Its Kind of a Funny Story.